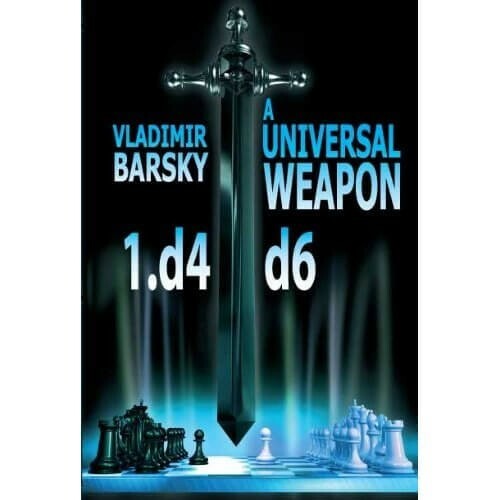 This book consists of eleven chapters devoted to different variations of the all-purpose defence for Black 1.d4 d6. Each chapter comprises a "Quick Repertoire" section, followed by a thorough theoretical and practical study in the section "Step by Step" and finally a "Complete Games" section. To be able to include this system in your opening repertoire, it should be sufficient for you to read the introduction and play through the complete games, which should not take too much of your time. Then you can start playing this opening in practice games at your club, or on the internet. After you have used this "Universal System" in 10-15 games, you should compare your experiences with the author's recommendations in the "Step by Step" chapters and start to fine-tune your knowledge. International Master Vladimir Barsky is a chess journalist and coach. He has been helping GM Morozevich and GM Khairullin. Barsky is the author of a variety of books about chess and chess players, including The Scotch Game for White and The Modern Philidor.